The point of this cheery study, published today in Scientific Reports, was to determine the conditions under which all life on Earth might be extinguished, and the phenomena that could instigate the premature sterilization of the planet. The word premature is key; the Sun could sterilize the Earth in as few as two billion years, and engulf it in about five to seven billion years when it turns into a red giant. But that’s not what this research team was interested in. They wanted to know if something else might be capable of exterminating all life on our planet. The final possibility are gamma-ray bursts. Likely caused by supernovae or hypernovae (also known as a superluminous supernova, which are about 10 times brighter than standard supernovae), these energetic explosions produce radioactive blasts capable of sterilizing an entire planet. But like supernovae, gamma-ray bursts are unlikely to happen in our immediate vicinity. 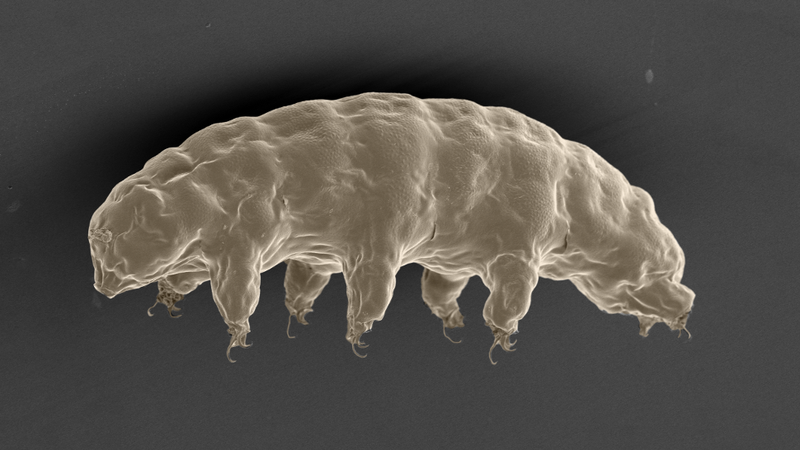 With all this in mind, the researchers hypothesize that there’s a one in a million chance that a catastrophic astrophysical event will kill all forms of life on Earth—tardigrades included—before the Sun grows old enough and hot enough to boil the oceans away. Put another way, if the Sun could last forever, it would take about 10 billion years before something might wipe out the tardigrade clan. As a final note, this study shows that life may be more common than we think. Once life gets started, it could be pretty damned hard to get rid of it.